Using very precise ground-based observations, Stephen Lowry (University of Kent, UK) and colleagues have measured the speed at which the near-Earth asteroid (25143) Itokawa spins and how that spin rate is changing over time. They have combined these delicate observations with new theoretical work on how asteroids radiate heat. This small asteroid is an intriguing subject as it has a strange peanut shape, as revealed by the Japanese spacecraft Hayabusa in 2005. To probe its internal structure, Lowry’s team used images gathered from 2001 to 2013, by ESO’s New Technology Telescope (NTT) at the La Silla Observatory in Chile among others, to measure its brightness variation as it rotates. This timing data was then used to deduce the asteroid’s spin period very accurately and determine how it is changing over time. 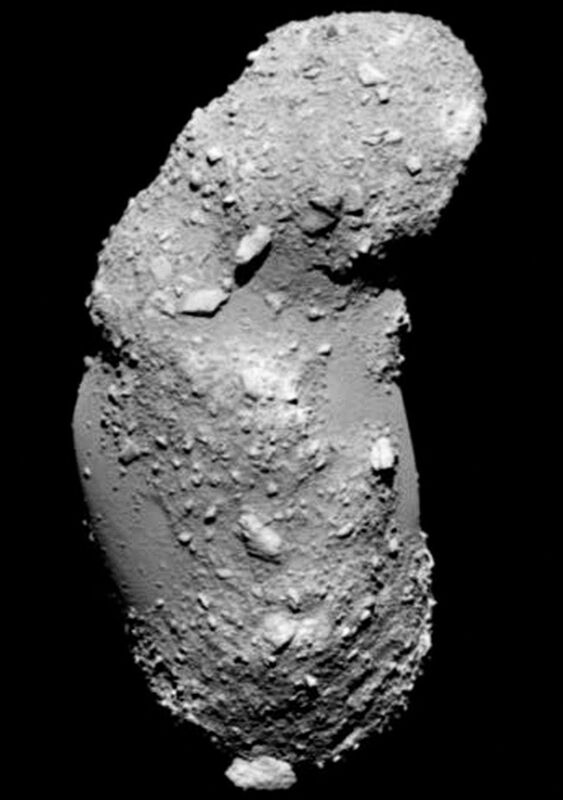 When combined with knowledge of the asteroid’s shape this allowed them to explore its interior, revealing the complexity within its core for the first time. “This is the first time we have ever been able to to determine what it is like inside an asteroid,” explains Lowry. “We can see that Itokawa has a highly varied structure, this finding is a significant step forward in our understanding of rocky bodies in the Solar System.” The spin of an asteroid and other small bodies in space can be affected by sunlight. 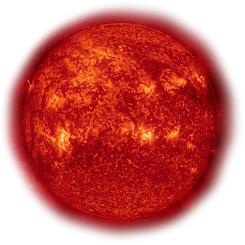 This phenomenon, known as the Yarkovsky-O’Keefe-Radzievskii-Paddack (YORP) effect, occurs when absorbed light from the Sun is re-emitted from the surface of the object in the form of heat. When the shape of the asteroid is very irregular the heat is not radiated evenly and this creates a tiny, but continuous, torque on the body and changes its spin rate. Lowry’s team measured that the YORP effect was slowly accelerating the rate at which Itokawa spins. The change in rotation period is tiny, a mere 0.045 seconds per year. 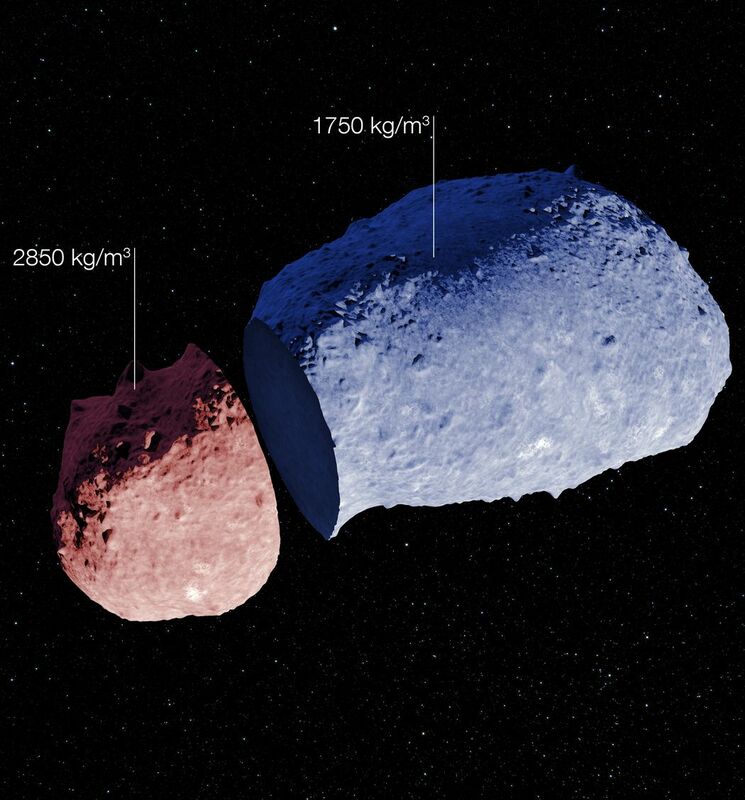 But this was very different from what was expected and can only be explained if the two parts of the asteroid’s peanut shape have different densities. This is the first time that astronomers have found evidence for the highly varied internal structure of asteroids. Up until now, the properties of asteroid interiors could only be inferred using rough overall density measurements. This rare glimpse into the diverse innards of Itokawa has led to much speculation regarding its formation. One possibility is that it formed from the two components of a double asteroid after they bumped together and merged. Lowry added, “Finding that asteroids don’t have homogeneous interiors has far-reaching implications, particularly for models of binary asteroid formation. It could also help with work on reducing the danger of asteroid collisions with Earth, or with plans for future trips to these rocky bodies.” This new ability to probe the interior of an asteroid is a significant step forward, and may help to unlock many secrets of these mysterious objects.